The sun is setting on the 115th Congress, with just weeks left to advance legislative proposals that have been debated over the past two years on Capitol Hill. While time is short and the legislative laundry list is long, the House and Senate should take full advantage of the remaining time by passing legislation that enjoys bipartisan support and will benefit all Americans. At the top of that list is a comprehensive package — commonly referred to as the Lands Package — that will enhance America’s great outdoors and unshackle one of our economy’s fastest growing sectors: outdoor recreation. You can be forgiven for not knowing this sector is one of the nation’s most important economic drivers. Prior to 2018, the federal government failed to identify our industry in U.S. GDP calculations, which often left outdoor recreation as an afterthought in serious policy debates in Washington. That all changed in February when the Bureau of Economic Analysis released its first formal draft analysis of the outdoor recreation economy. The findings, formalized in September, were stunning. It turned out that outdoor recreation accounted for 2.2 percent of the nation’s GDP in 2016, making it a larger sector than other major industries like utilities and mining. In addition, more than $730 billion in economic activity was generated by outdoor recreation, supporting 4.5 million jobs in America. Despite these impressive numbers, the outdoor economy still has considerable room to grow. But smart investments are needed — and time is of the essence. America’s National Parks now face $11.6 billion in deferred maintenance requirements. More broadly, America’s public lands and waterways face an even greater backlog of $18 billion. Continuing the status quo is unsustainable and jeopardizes the growth of our sector, which is why we are asking Congress to put forth and pass a Lands Package before the end of the year. This legislation will address issues ranging from deferred maintenance and public lands access to expanding the study of the outdoor recreation economy. Fortunately, legislative language addressing these issues already exists in the form of several bills, each enjoying bipartisan and bicameral support. One of these bills, the Restore Our Parks Act, offers a straightforward solution to the significant deferred maintenance backlog by establishing a dedicated fund from energy generation revenues on federal lands. This proposal is critical to making long overdue upgrades to campgrounds, trails, boat ramps, roads and lodging facilities, to name a few areas of need in our national parks. After all, we want Americans exploring our public lands and waterways to be awed by the natural beauty of the great outdoors — not disappointed with the recreation infrastructure. Another provision aimed at improving the experience on America’s great outdoors is the Land and Water Conservation Authorization and Funding Act, which will permanently reauthorize a 50-year-old federal program that expired this fall. This initiative is one of the most widely supported tools to conserve and protect America’s outdoor heritage, having funded recreation access projects in almost every county in the country. Renewing this program is critical to supporting the health of the great outdoors and businesses driving the outdoor recreation economy. 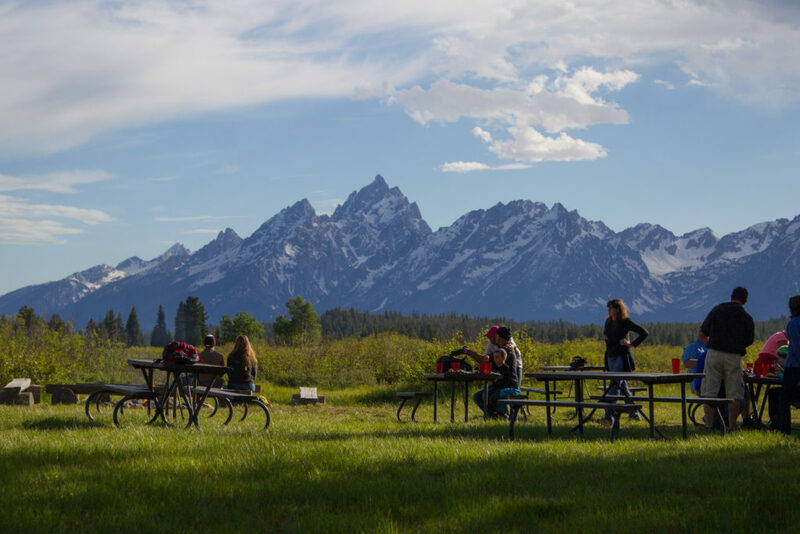 While major investments in America’s public lands and waterways are essential, we also need to continue the vital study of the outdoor recreation economy that started this year. Without it, lawmakers cannot make informed decisions when developing policy. Congress should set aside $1.5 million over the next fiscal year for the BEA to dive even deeper and develop a state-by-state analysis of outdoor recreation’s economic impact. Doing so will help drive smart policies that will have lasting positive impacts. These proposals are a few of the many ideas considered this Congress that enjoy bipartisan support and will enhance America’s public lands and waterways while boosting the national economy. Congress must act swiftly and efficiently by passing a robust Lands Package that includes these bipartisan provisions. This legislation should also address other important issues ranging from modernizing the way we manage our federal fisheries to removing red tape from commonsense, cost-effective public-private partnerships. America’s great outdoors need some updating. Thankfully, our public lands and waterways are on the verge of receiving the attention they so richly deserve — a pivotal undertaking that will ensure the outdoor recreation economy continues to grow. Congress should seize the opportunity it has in the final weeks of 2018 and pass the Lands Package.